Something I hanker after is a fruit tree or three in my garden. At this time of year, apple trees are heavy with delicious fruit and there's so many wonderful things you can make. I'm very lucky to have generous friends with apple trees who share their bounty with me and at the moment I'm working my way through about 6kg of apples which I helped my friend Fiona to pick from her tree last week. One use is my Hit The Floor cake as we're off to Killarney this weekend for another end of summer BBQ and my entrance fee is a giant cake, apparently. 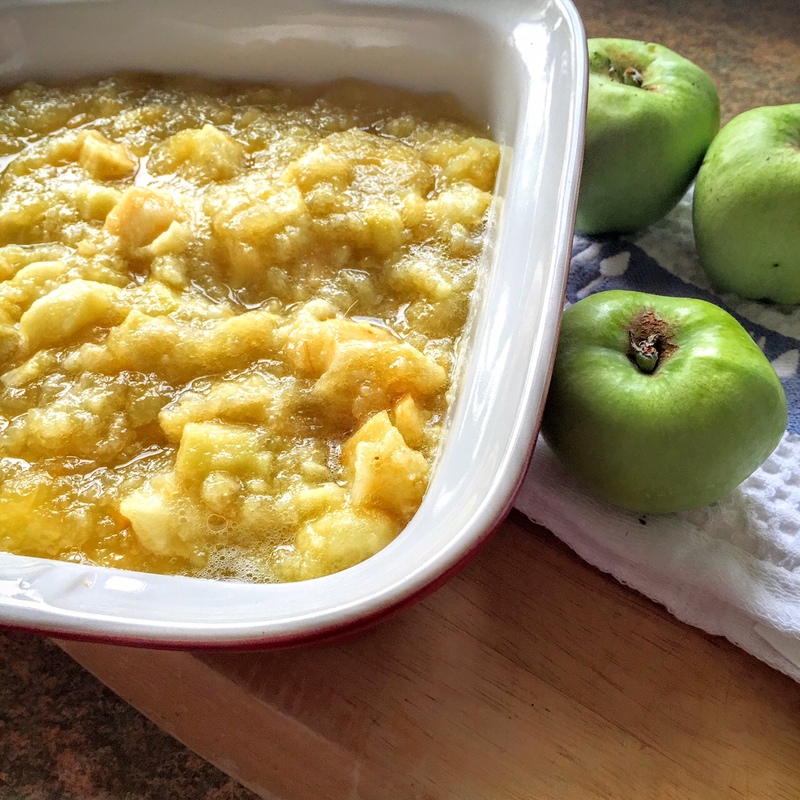 I also love keeping things simple and once I've peeled, cored and chopped my way through a veritable mountain of cooking apples, I just add sugar and reduce them to a chunky compote which can be used in so many ways. I freeze some for instant apple sauce to go with roast pork, fold into basic muffin batter and top with crumble for Apple Crumble Muffins or fold into mascarpone with a spoonful of Calvados for a sinful cake filling. Today, I'm going back to my childhood and making a really simple, comforting dessert. 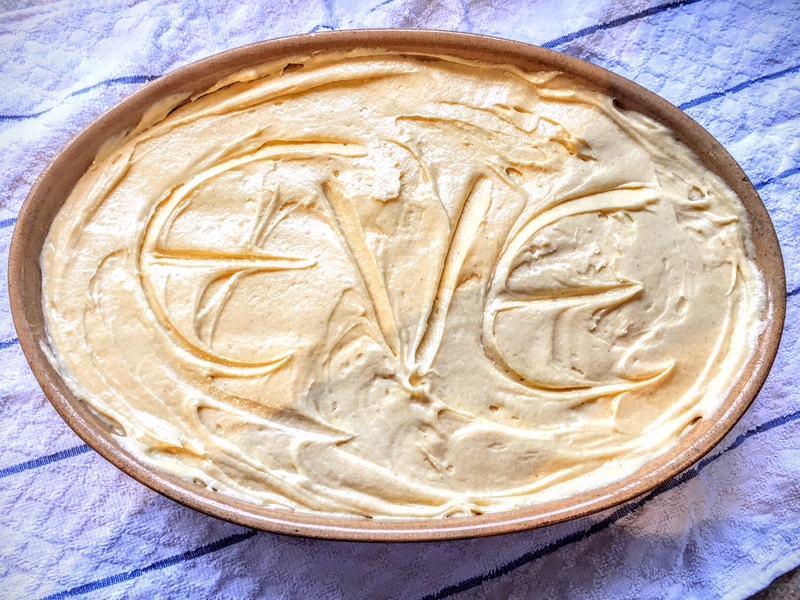 Eve's Pudding was a recipe I first learned in Home Economics class in secondary school and it's one I absolutely adore as it's a mix of tangy apples and soft buttery sponge with a crisp top. 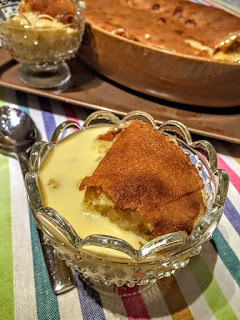 Serve it with cream, custard or icecream and everybody will be happy. In a large pot, heat the apples, sugar & water together on a low heat for about 10 minutes until the apples have softened. Turn off the heat and transfer the cooked apples to a large casserole or gratin dish. In a large bowl or in a food mixer, cream the butter and caster sugar together until light and fluffy. Add alternate spoonfuls of flour and egg to the mixture and fold in gently. Stir in the vanilla extract and pour over the apple mixture, using a knife to smooth it. Place the dish onto a baking sheet & bake for 30-35 minutes until the sponge is golden and puffy. Remove and allow to cool for 10 minutes before serving with lots of custard, cream or icecream.